Prom is the short form of the promenade which means the march of guests at the beginning of a formal event. It is a formal gathering which is being held when high school academic year culminates and consists of dinner, dance and an after-party post prom. Previously, proms were not held in elegant hotel ballrooms or decked-out gymnasiums at high schools; instead, the proms were held at inconspicuous venues within the university. One of the earliest known prom mentions in a journal (1894) of a student from Amherst College describes his prom experience at neighboring Smith College. And by the early 1900s with the thoughts of teaching etiquette to their children through formal dinner and dance prom started gaining popularity among parents as well as educators. Going prom with friends is always a great idea. Therefore, make sure to ask your closest friends about their plans for prom night as soon as possible so that you will be sure of the number of people in your group and hence plan dinner reservations, photography arrangements and limo service bookings accordingly. But keep in mind that the larger the group, the difficulty is planning! Therefore choose the closest friends of yours. Once you have decided on your friends with whom you want to enjoy your prom night, it is the time to start planning for the night. The best way to do so is by outlining the itinerary for your group prom night. For example, decide your meeting point, i.e. whether everyone will meet at someone’s house for dinner and photo session or you will need to reserve seats in a restaurant! 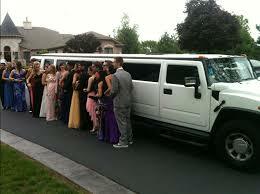 How long limo you will need to book for the prom night and when? Proper scheduling will help you in having a comfortable and enjoyable prom night! Also, depending upon the number of members in your group and their choices you will have to decide whether you need to book a prom limo or a prom party bus! Numerous clients who book a luxurious limo service in NYC with us at US Bargain Limo have no clue to what sort of vehicle they incline toward. Most just, know about the stretch limousine. Numerous clients are in truth amazed that we have an armada of various extravagance cars that are additionally accessible. While the stretch limousine has been the customary extravagance limo for individuals, there are different vehicles that are likewise similarly as rich and eye getting. 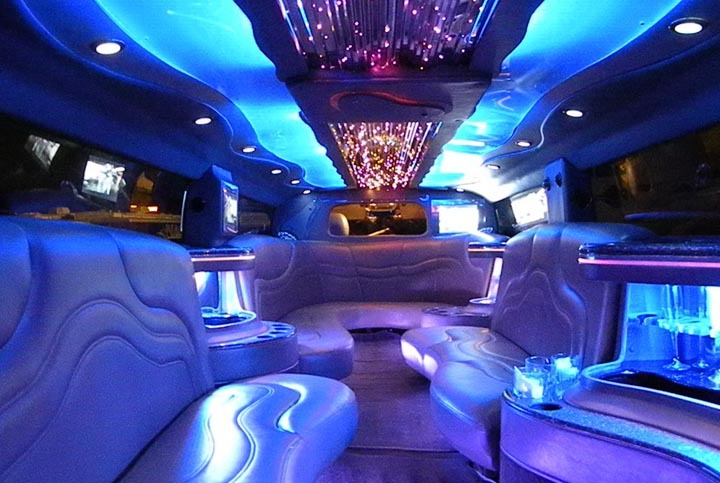 Today US Bargain Limo has various extravagance vehicles including the SUV, the stretch limo, the car and the hummer. Here we give you a few actualities that may enable you to choose which one to pick. Initially, there is no such thing as the best limousine; everything relies upon your necessities and individual inclinations. All vehicles offered by us at US Bargain Limo are lavish and offer comparable civilities; they simply change in size, style, and shape when you desire to have the best of limo service in NYC from us. For instance, on the off chance that you need something to praise an occasion like Valentine’s Day a stretch limo is immaculate however in the event that you want to go to the shoreline with a gathering of companions, at that point a Hummer is the perfect vehicle. For weddings, the stretch limo or the car are both similarly great autos and offer a delicate limo service in NYC in extraordinary solace. For a great many people who need to go for business or appreciate the night out, the stretch limo is the customary extravagance vehicle of decision for having the best of limo service in NYC from us. The smooth long shape is an image of extravagance and significance. In the event that you are getting ready for something tasteful like a wedding, we prescribe the stretch limo. In the event that you are searching for a vehicle to spend a sentimental night, go to a gathering, or go to a performance center show then the stretch limousine is an incredible decision. It offers class, style, and lavishness while you have limo service in NYC from us. While a stretch limo has numerous constructive properties, it additionally has a couple of negatives: Exiting and entering the vehicle if there are numerous individuals can be somewhat troublesome. In addition if there are multiple travelers, the vehicle rapidly winds up swarmed. On the off chance that you are wearing a smooth robe or a wedding dress, you need to be careful. In addition, you additionally need to twist a bit to enter the vehicle, and so caution is necessary. When you are with us at US Bargain Limo and desire to have the best of limo service in NYC you need not bother about such as we have the armada of best limo to suit your purpose. Oakeside Mansion in Bloomfield feature a 200-guest capacity tent for that’s placed right off of the venue’s wraparound patio, so guests can make use of both areas easily. It provides a crystal chandelier, carpeted floors, sidewalls in case of unfavorable weather. The tent facility is accessible from April to November every year. Park Avenue Club in the Florham Park provides 2 tent like pavilions on its own property. The larger one can seat up to 260 guests & has an air-conditioning & heating system and is accessible throughout the year. Its clinical decoration lets couples to integrate their own theme and color style. Knoll Country Club in Parsippany provides a well-appointed tented wedding facility for the cocktail hours that’s attached to the east ballroom. This tented facility can accommodate up to 260 guests & can be accessed from March to late November if the weather permits. Congress Hall in Cape May can be rented for weddings with above 300 guests. Except from December to February tented wedding can be held here any time of the year. Water’s Edge in Sea Bright provides a private tent on the north side of the venue’s Beach Club which can manage up to 100 guests and it’s accessible in the summer and spring months. 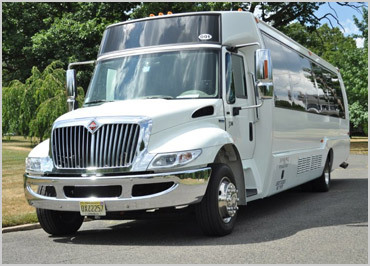 Choose your Wedding Party Bus in NJ & NYC from US Bargain Limo and enjoy a stress free ride to your wedding or reception venue in New Jersey or NYC. For booking, feel free to call us on 877-770-6225. 4 Things To Do In The World Famous New York City? One of the most visited cities on the planet earth, NYC is always a windstorm of activities, with remarkable sites at every turn. If you are planning to spend your upcoming vacation in this city, your options are simply endless. Some outsiders come to this city to relish the Broadway Shows, other visit particularly to shop, and a lot of simply come to witness the world famous sights: the Brooklyn Bridge, the Statue of Liberty, Central Park and the Empire State Building among others. Any time of the year & any time of the day there’s a never ending display of things to see in NYC, especially if you have access to a reliable limo service. Constructed in 1920, Deno’s Wonder Wheel is one of the most popular NYC landmarks that you must want to check out at least once in your life. Since its introduction, it has maintained a 100 percent safety record. More than forty million people have relished this legendary ride. This wonder ride is ideal for all generations & perhaps the most romantic rides in the earth. Metropolitan Museum of Art is one of the most celebrated museums in the United States. Packed with stunning masterpieces worldwide, encompassing important collections from Ancient Egypt, the Metropolitan Museum of Art is an art experience unlike any others. Regardless of the outrageous entrance fees, the Empire State Building is a must visit if you are in NYC. In fact, a trip to the summit of the building is the ideal way to start your Big Apple Excursion – on a sunny day you will be able to witness the major highlights of the city some, 1,050ft beneath you. Glancing at the art deco skyscraper right from the ground is also a very spectacular thing to do, particularly during the evening when there is a little mood lighting. Central Park is the most visited park not only by the New Yorkers, but also people from overseas. This massive park in the City Center makes New York such a fascinating city to explore. The park feature several attractions inside its borders & has been featured in numerous TV shows & movies. Some of the places you’d like to explore inside this green space are Strawberry Fields, and the Lake, which is accessible for paddling in summer and skating in winter. For super affordable limo service in city of NYC and for your sightseeing transportation needs, you can rely on US Bargain Limo – your one stop for all types of ground transportation. Book our limo service online or call us on 877-770-6225. The excitement of prom is here again! 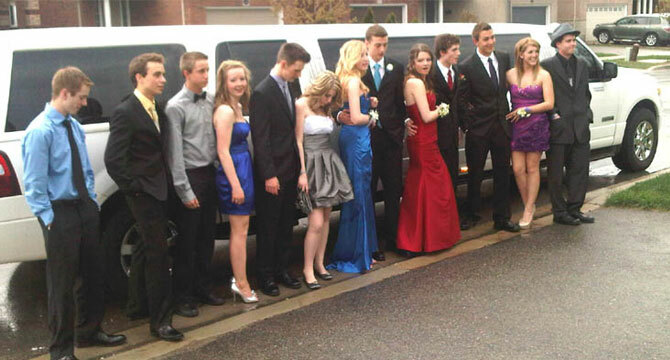 Glamorous and fun-filled prom parties are always a fun to attend especially when you have the luxury of a party limo. Limousines are not only for wedding anymore. More & more teens today are using this form of transportation for their prom parties in NJ & NYC. It is unbelievably romantic: There is nothing more romantic than traveling to and from your prom in a limousine. You & your date, snuggled in the back seat, windows tinted for ultimate privacy, a chauffeur serves to whatever you want – this is absolute romance. You will be the talk of the show: When you are in a limousine, people certainly notice. You will turn many heads as you travel to and from your prom destination. Furthermore, if you’re being elected for Prom Queen or Prom King, arriving at your prom will certainly give you the feeling of the start of the night. Take your prom to the road: The best night of your life shouldn’t end at the dance floor – instead, you can create your own dance floor, anywhere in the town. Just open up the roof of your limo, tell your driver to play your favorite party music, and you can keep enjoying your prom night until the sun comes out. 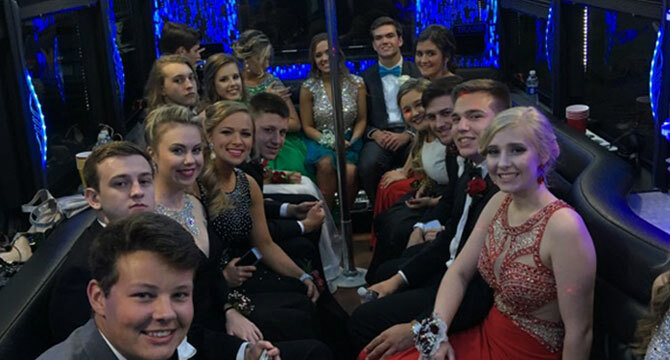 Prom Party Bus or Prom Party Limo gives you ample of space, party features such as big screen TV’s, state of the art surround sound systems, laser lightning which you can explore throughout apart from the luxury you want. It is convenient: Possibilities are that you & your buddies will be pre-partying, partying, and after partying. Keeping such possibilities in mind, hiring a lavish limo isn’t just glamorous – but it is absolutely convenient. You don’t have to coordinate who’s driving what, picking up whom, and going where. Rather, with just a single command, your driver will be happy to drive anywhere you want – and drop you at your home safely at the end of the night. Unforgettable experience: Prom nights are always fun and you certainly can cherish them for the rest of your life if you have the luxury of a well-appointed limo. With all the facilities available inside a party limo, it will be the best prom you will ever have. Guaranteed! Whatever your prom group size is, US Bargain Limo has a prom party bus in NJ & NYC at your service. We’ve a wide variety of hummers and stretch limousines to cater all your prom transfer requirements all through New York & New Jersey. To book our prom limo in NJ & NYC, feel free to call us at 877-770-6225. Your wedding day transportation includes the journey from your destination to venue and vice-versa. Fortunately, there is huge array of wedding Limousine Rental Service options available in New Jersey in in order to add unique flare, fun and personality to your Big Day celebration. Offering a cloud of elegance from days gone by, antique limousines will provide you and your guests the ultimate luxury of a limo and the charm of a vintage ride. Choose from 1930 Convertible Rolls Royce Touring, 1959 Rolls Royce, 1937 Rolls Royce Touring and 6 Passengers Excalibur. 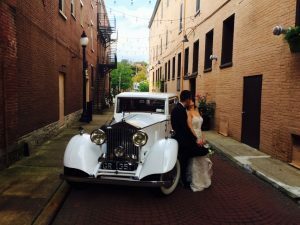 Regardless of which wedding limo rental NJ you choose to get you to and from the ceremony, reception and after party, you’ll be cruising in luxurious, vintage style. If you are one of those couples who want to party quite literally all day long, consider hiring an extremely opulent party bus in New Jersey. 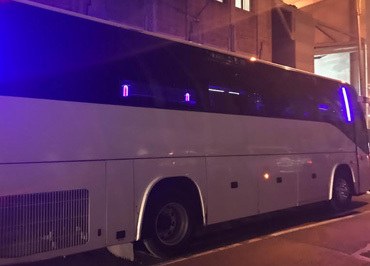 The exotic party buses are available with 15, 20, 24, 26, 27, 28, 30, 21, 42, 37, 45, 50, 52 and 55 seating facilities featuring leather seats, flat screen TVs, elegant bars with stemware, fiber optic and strobe lighting, smart phone connections and much more state-of-the-art entertainment facilities to keep the party going, even while you’re on the road! Wedding Limousine can be booked in advance from a trusted Limo Rental Service provider in NJ. For the couple who craves the excitement and thrill of exotic cars, Chrysler Stretch Limo, Hummer SUV, Escalade SUV, Excursion, Navigator, Pink Hummer etc. can make your wildest luxury wedding limo transfer dream come true. Available at extremely affordable prices, the impressive inventory of exotic cars can add the special “WOW” factor to your wedding day for sure! Do you need any special recommendation? The White Escalade SUV limo would look perfect with a bride and groom in it! Your wedding is knocking at the door in New Jersey! Check out the latest selection of wedding limo rental NJ at US Bargain Limo and be sure of receiving picture-perfect limousine to arrive on your big day in style and luxury you deserve the most! 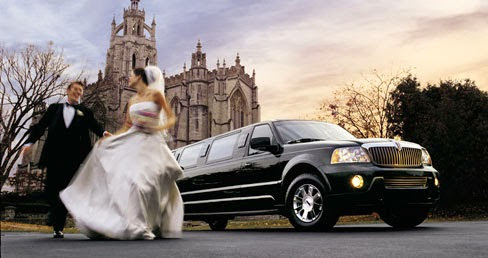 Consider booking our wedding limousine service NJ prior to your Big Day, if you want to get rid of last minute chaos! For immediate availability of our wedding limousine NJ, get in touch with us today as soon as possible! The day of your eternal union with your partner is approaching quite fast: your wedding in NJ. You may have dreamt of taking your vows in a wonderful ceremony, celebrating lavishly with friends and loved ones, and leaving guests behind for a honeymoon trip using luxury wedding limousine service in NJ after the party gets over. To make sure you live all the desired moments, you want a wedding limo rental in NJ which you can depend on. 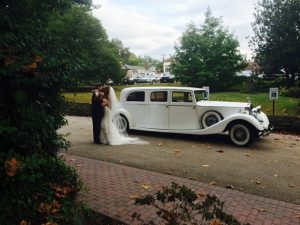 We at US Bargain Limo in 1545 Broadway New York, have been providing luxurious, comfortable and memorable wedding limo transportation in NJ area, and will request you to follow the below given tips for enjoying a great wedding limo rental experience in this area. 1. 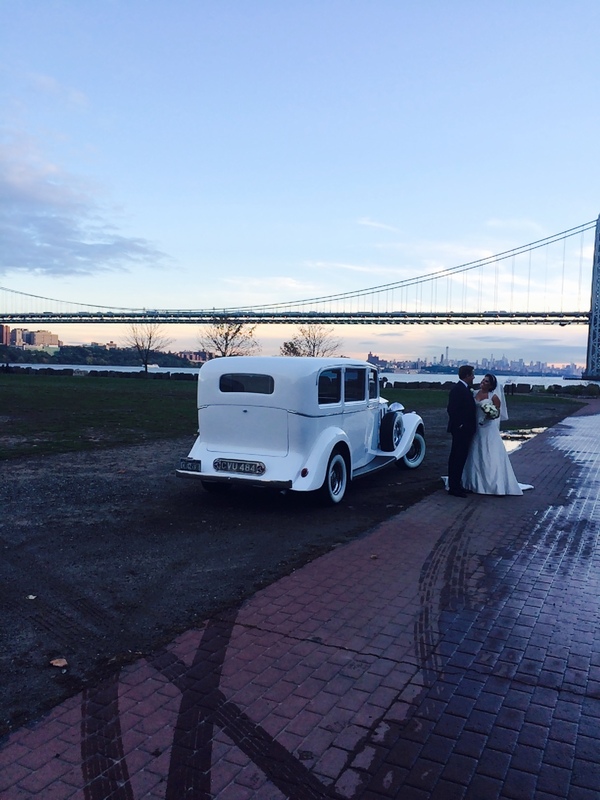 Make Advance Booking- Wedding season in NJ means increased demand of wedding limos. So, you will have to think of making wedding transportation arrangements much before the actual date. If possible, you should book wedding limo rental in NJ at least one month ago and confirm it a couple of weeks before the big event. 2. Give All Planned out Details Regarding Your Wedding Transportation- Some wedding limousine service in NJ providers want to have more fine details about your wedding so that they can decorate and make your ride look fantastic. Additionally, you are required to tell the limo rental company of how many people will accompany you, for how many hours you need the transportation service and which route you want to follow. Add some extra time to your wedding ride so that you can make up unwanted delays caused by your guests or traffic on the road. 3. Pick up the Right Vehicle – Not all wedding limousines are large enough to accommodate your group of guests comfortably. You can find more effective yet less elegant alternative in stretch SUVs to ride on your wedding day. 4. Ask for Refreshment Facility – The real fun of using wedding limo rental in NJ is to begin the party even before you reach at the wedding venue. So, have a discussion with the wedding limousine service provider regarding its policies and openness to the idea of refreshment of guests inside. 5. Think about Entertainment- Though many wedding limo rental in NJ includes high sound music player, you may like to play your favorite songs stored on your CD or iPod on it. You need to have a discussion on this matter before. 6. Decide Your Itinerary– Are you looking to ride from Point A to Point B, or planning to stopover at few places to pick up your friends or guests? Informing this to the NJ wedding limo rental and driver will help mark out your itinerary better and faster. 7. Know Your Budget – Each company establishes its individual payment structure, which may be fixed price or an hourly rate. Be sure you know any extra charges, like for fuel, and other expenses included in it. Having a great wedding limo rental in NJ experience means the assurance to fulfill your desire for the big day. By booking the wedding limousine service in NJ of US Bargain Limo, you can reach the venue timely and safely with great attention and comfort. Our finest fleet includes the late model sedans, SUVs and over stretched limos that will create excellent attraction and luxury you want to enjoy on the wedding day. To sign up for our wedding limos rental in NJ which is superior in every aspect, call us now at 877-770-6225. Your wedding is around the corner! Started planning the wedding? Simply, you can’t go wrong with a wedding celebration in New York City area.This city is home to a wide array of appealing, beautiful and impressive wedding venues that offer the perfect backdrop to your dream ceremony and reception. Now, let the planning for wedding begin with booking transportation details. And when it comes to booking wedding transportation in NYC, you’ll want to do everything to make sure your entire party receive the quick and smooth transportation they deserve. If you have wedding guests traveling far away in New York City, providing transportation is a major relief from getting stressed to arrive at the venue on time or getting lost anywhere in New York. Especially if your guests want to participate in the rehearsal dinner, bridal shower or any off-site wedding photograph sessions, they’ll need a trusted wedding transportation for their convenience. However, offering your guests with much-needed chauffeured transfer service will eliminate the need of hiring more than one vehicle and will relieve wedding guests to drive themselves throughout the festivities. Your loved ones are very much important to you. It’s important for you that they share everything in your special day. Providing them with luxury limousine service will allow them to feel like an important part of all the festivities, from the arrival at the venue to the trip to the reception. If you have a large family coming to your wedding in New York City, offering them with quality transportation seems a bit challenging task unless you’ve booked NYC wedding limousine service. However, limousine companies in New York City have been offering a dynamic fleet of luxury vehicles including shuttle buses, party buses, Hummer, Escalade, Cadillac and more to make sure your guests, as well as your bridal party, arrive at your venue effortlessly and comfortably. When you’ve planned the best party of your life like the cocktail party, bachelor party or bachelorette party on the town, having safe transportation for everyone is a must. When your party hour is over, your guests deserve a trusted and comfortable way to return back to their destination in the safest possible way. Though the wedding is a once-in-a-lifetime event, you deserve the wedding of your dreams. After all, it’s the big part of your life, obviously, you’ll be surrounded by the people you love. If you will provide your guests with chauffeured transportation, you’ll feel blessed that you will allow them to reach during the wedding festivities conveniently. Besides, you’ll need a luxury transportation for brides and grooms in order to let them arrive at the wedding day in style and luxury. For wedding day transportation needs, consider booking wedding limousine service in NYC with US Bargain Limo and rest assured that you and your guests will receive the safe and comfortable transportation in a picture-perfect limousine driven by professionally attired chauffeur! For immediate availability of our NYC wedding limousine service, feel free to get in touch with US Bargain Limo as soon as possible! What are the Advantages of Hiring Wedding Limousine Service in NYC? Wedding is the most special and important day of one’s life. A lot of planning and preparation is needed to make a glamorous and memorable affair. If you want to arrange a stress free and comfortable wedding transportation, then consider an elegant wedding limousine service. With a professional limousine service in NYC, you will get an opportunity to enjoy a comfortable transportation that will add glamor and elegance to your wedding. Let us discuss about some of the advantages of hiring an exquisite limousine service for your wedding in NYC! The elegant wedding limos are normally equipped with modern and advanced amenities such as comfortable leather seating, fiber optic/neon lighting, laser lights, surround sound system, DVD/CD player and a lot more. The luxurious interior of the limousine will help you experience a bespoke royalty and enjoy a stress free wedding transportation. The spacious and luxurious seating arrangement of an exotic limousine will help the bride to enjoy a comfortable transportation without spoiling her beautiful and gorgeous bridal dress. 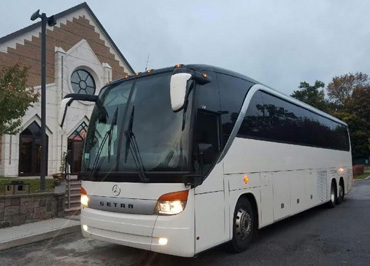 You can enjoy a relaxing transportation to the church or wedding venue with style and elegance that will prove to be a memorable wedding moment. An elegant wedding limousine will prove to be the right medium of transportation that will help you arrive at the venue with a refreshing look. With a reliable wedding limousine service provider in NYC, you will get the chance to choose the desired type of limousine fleet. For instance, choosing a stretch limousine will prove to be the best option that will help you feel like a celebrity while enjoying a luxurious wedding transportation with great photographic opportunities. There are numerous models of limousines, which are associated with class, style and opulence. You can choose the right one and enjoy the highest level of wedding transportation. Getting the well trained and professional chauffeurs behind the wheels will help you enjoy a truly memorable wedding transportation. The professional and courteous chauffeurs will not only deliver a smooth and safe transportation, but also pamper you with a special red carpet service and royal treatment. With an experienced chauffeur, you need not have to worry about the transportation hassles and enjoy a peaceful wedding ride. Associated with extravagance, style and elegance, limousines are always considered to be the best wedding fleet. You can book a reliable wedding limousine service in NYC from US Bargain Limo to enjoy a stress free and comfortable travel. We are one of the most reputable limo and party bus service provider in NYC. Our main aim is to make your special day a memorable one by providing the superior standard of wedding limo and wedding party bus service in NYC. To get a customized package for wedding limousine or party bus service in NYC, contact us today at 877-770-6225! Wedding merriment approaches with a great deal of celebrations – shaking the dance floor, popping a few bottles of champagne and obviously riding a luxury limo. However, no special occasion is complete without appropriate decoration. Just like the bridal suite, wedding venue and reception hall, the wedding limo also need some sorts of decorations to create the environment and inject life into your celebration. 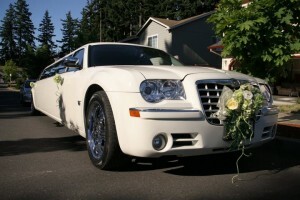 However,decorating a wedding limo isn’t easy as you have to pursue a unique set of guidelines. Here in this post I have outlined a few decorating Do’s and Don’ts that will ensure that your wedding limousine is embellished without any mes sup. The limo has to go back to its proprietor by the end of the day. The worst thing you want to do is cost the bride and groom additional money by violating the contract. Ask the limo company about the guidelines for embellishments to ensure you don’t violate any rules and regulations. Though you don’t have to offer the limousine a complete wash following the merriment, but taking away flowers, balloons, etc before the conclusion of the wedding nigh will be appreciated by the limousine company for sure. The mainstream of limo firms suggest o employ window decals as they are simple to put and eliminate and also they don’t make any damage to the vehicle. This’s possibly the biggest limo decorating mistake one can commit. When you apply a tape on the windows it usually lefts behind a sticky deposit that is tough to take away. If the decorations are fastened to the inner part of the windows it can damage the tint as well. So, be cautious of it! 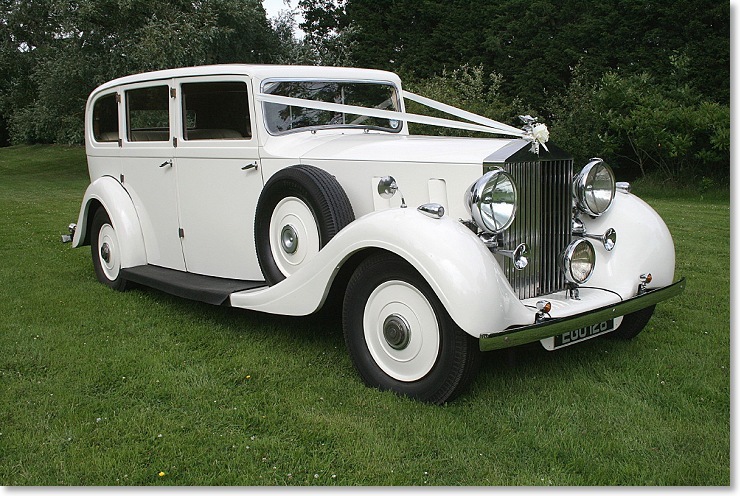 A great number of wedding limo are white both on the exterior and interior. Particularly throughout the humid summer season, colorants from markers, paints, etc, could move to the exterior of the limo and source injury. Decorations up front may obstruct the chauffeur’s vision and cause disruption that may lead to an accident. Keep all decorations on the back side of the limo and use short strings on helium balloons. Get the best and most affordable wedding limousine service in NYC at US Bargain Limo. For booking, feel free to reach us at 877-770-6225!